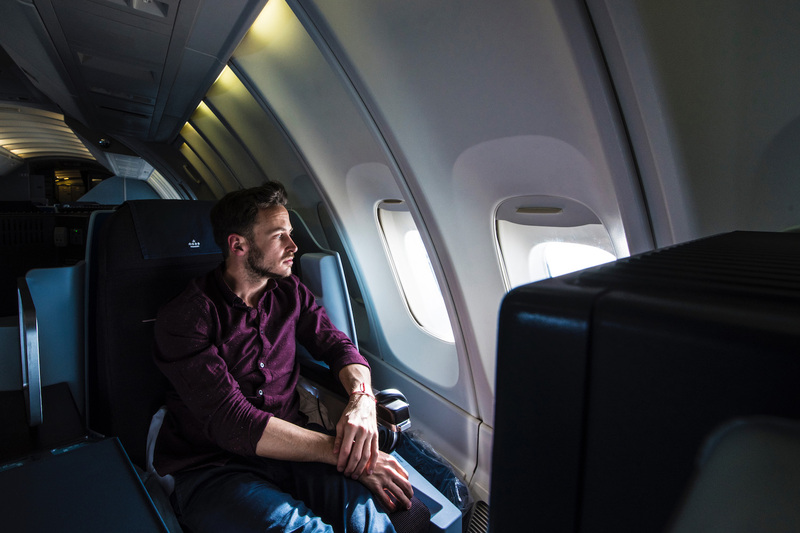 Why do European airlines even bother offering “business class” on regional flights? I wonder this often, most recently while waiting to board a KLM flight from Moscow to Amsterdam. The crew are very stylish, I think to myself as they strut past in their vibrant uniforms. But all I have to look forward to on that 737 are poorly-cooked eggs and a blocked middle seat. To be sure, the most stylish members of said crew will end up working in economy class on this flight, so while I enjoy the hospitality of the plain-Jane purser, the fact is that my experience doesn’t feel very “premium” until after I arrive in Amsterdam. 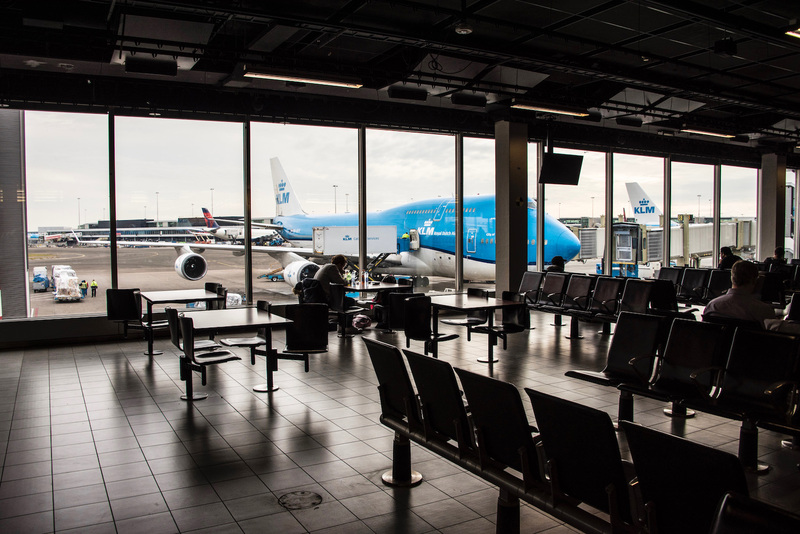 I’m talking boarding-the-next-flight after: The KLM Crown Lounge has plenty of tulips, but not enough toilets to constitute luxury, let alone comfort. The good news, the past two paragraphs of bitching notwithstanding, is that my experience with KLM’s World Business Class, aboard its aging (but still regal) 747, completely exceeds my expectations. The better news? There’s another queen in the sky that Saturday afternoon over the North Atlantic—and I’m not talking about myself. The 747 is Queen of the Skies, and nowhere on the plane feels more glamorous than the upper deck. The flight attendant who comes over to greet me, whom I later learn is named Paola, enhances this with her suggestion that I wash down my champagne with an equal amount of sparkling water. I nod, but don’t say anything—I’m busy setting up my camera to take selfies, as I usually do after boarding long haul flights in business class. It’s a rude habit, looked at objectively, but one Paola cuts through in the classiest way. I spend much of the flight not only telling Paola about my DSLR best practices, but speaking about her with a wide range of other issues, including her long tenure as a flight attendant with KLM, her relationship with her son (which reminds me that I need to call my own mother) and the ridiculousness of both American and European politics these days. Not that it matters, sealed into the vacuum of the Royal Dutch 747. Thanks to KLM’s—and Paola’s—exquisite hospitality, the entire rest of the world disappears for seven hours, minus the Anthony Weiner documentary that reminds me of what could’ve been. 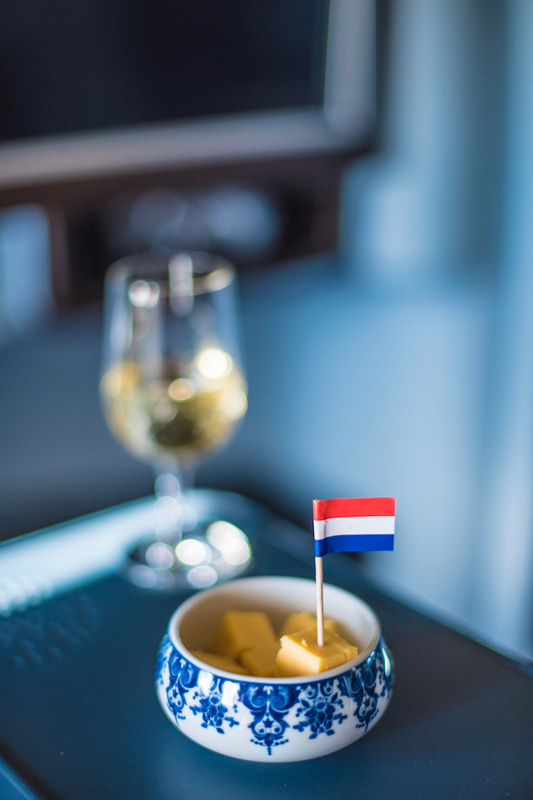 I’m not shocked that the first course served in KLM business class is a ramekin of cheese, given the airline’s Dutchness. I am shocked, however, that I’m able to eat it without wanting to vomit: I am a somewhat picky eater, particularly when it comes to dairy. On the other hand, I must admit the food aboard the plane is lackluster, particularly when compared to the aforementioned service. My main course is some kind of lamb meatball, which is so dry it looks like falafel, served atop a type of grain I can’t even remember it was so plain. There’s an amuse-bouche, too, but it doesn’t really amuse mine. 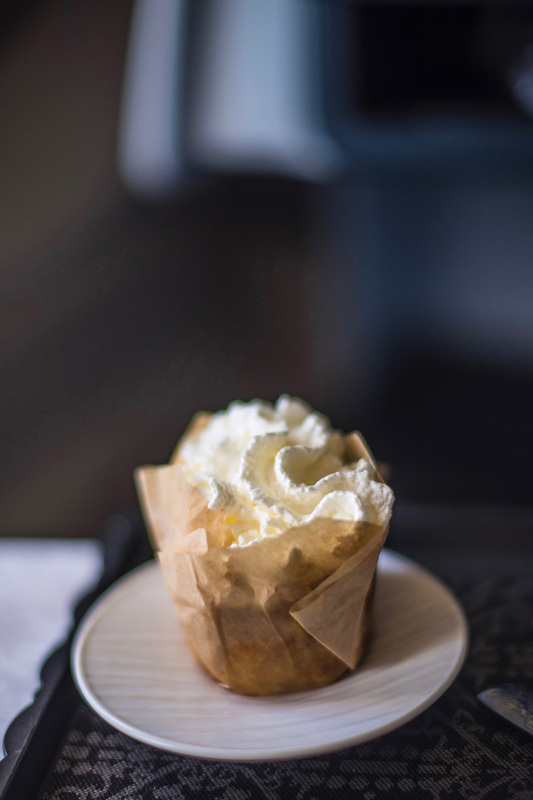 The Dutch apple pie served with fresh whipped cream at the end of the flight is nice though, as is the “Delft Blue” house souvenir, which Paola tells me contains Bols liqueur. I never see the label on the champagne, but I drink at least a bottle of it and don’t feel hungover, so I assume it’s not the cheap stuff—or at least, that Paola’s suggestion I chase it with water was her best advice of the entire flight. As far as the seat, I’m in 72A, at the very front of the cabin just behind the cockpit, on the left-hand side. 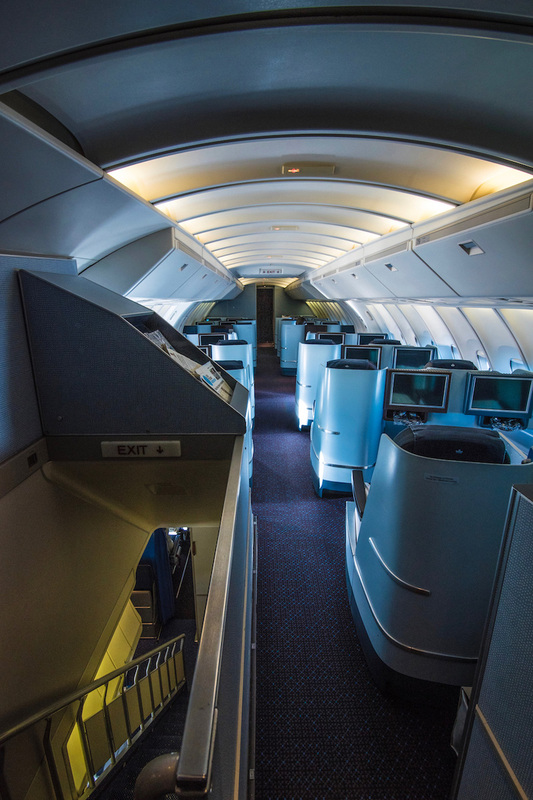 KLM’s 747 upper deck has a 2-2 configuration, which is less than ideal, although there are two points to make with regard to that. The first is that I don’t have a seat mate; the second is that KLM’s 747s are unlikely to be flying by the time you read this review, which is a sad note to end it on indeed. 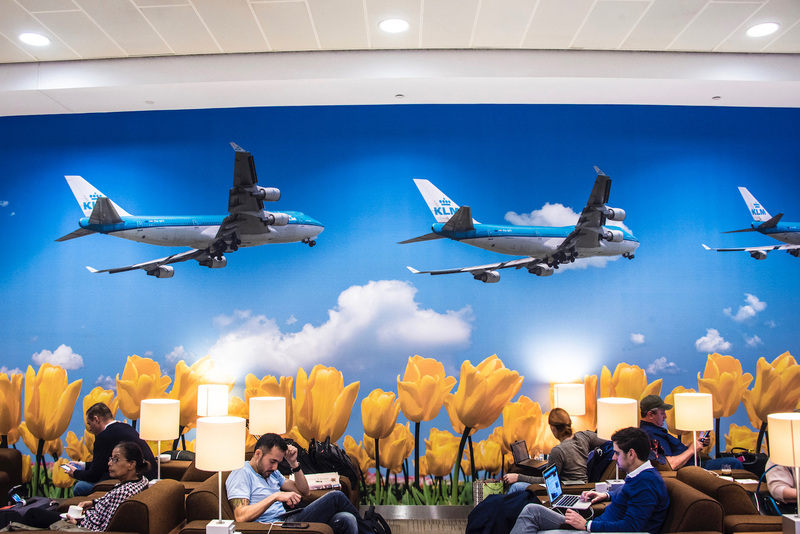 As I mentioned in the intro to this post, KLM’s Amsterdam lounge is crowded, which takes away from the high quality of food and beverage within it, as well as the quirky and cute decoration. Amsterdam Airport in general feels too small, although the security process (you do need to undergo a secondary check during transit) manages to be fast and efficient in spite of this. KLM’s Europe Business Class, for its part, is so superfluous it doesn’t deserve its own review. 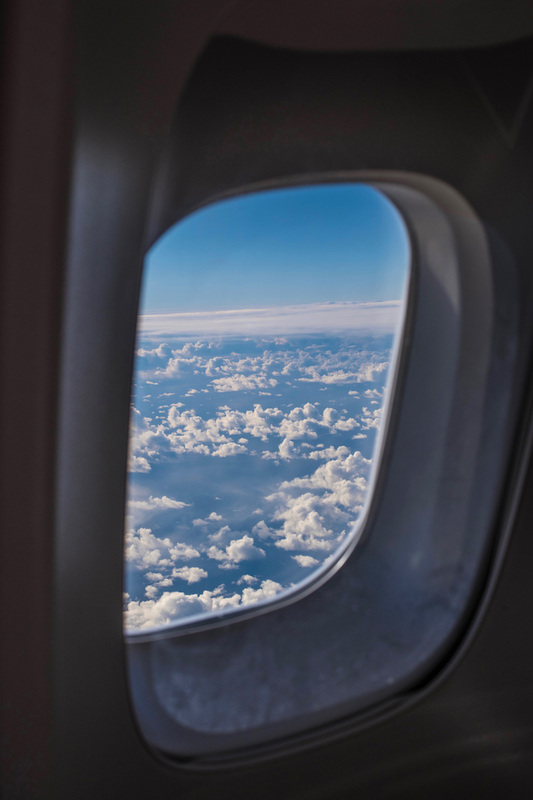 Although it’s slightly more comfortable than economy class within Europe, I would never pay money or miles to fly it à la carte—only as part of a connecting itinerary, as I did in this case. KLM’s 747 business class has a somewhat tired product and less-than-extraordinary food, but the onboard service (and, if I’m honest, the novelty and glamour of riding in the plane’s upper deck) more than make up for it. Although the 747’s time with KLM is limited, thus making it unlikely you will have an identical experience to me, I can only imagine future experiences will be similar, thanks to more modern seats and aircraft and (hopefully) better food. 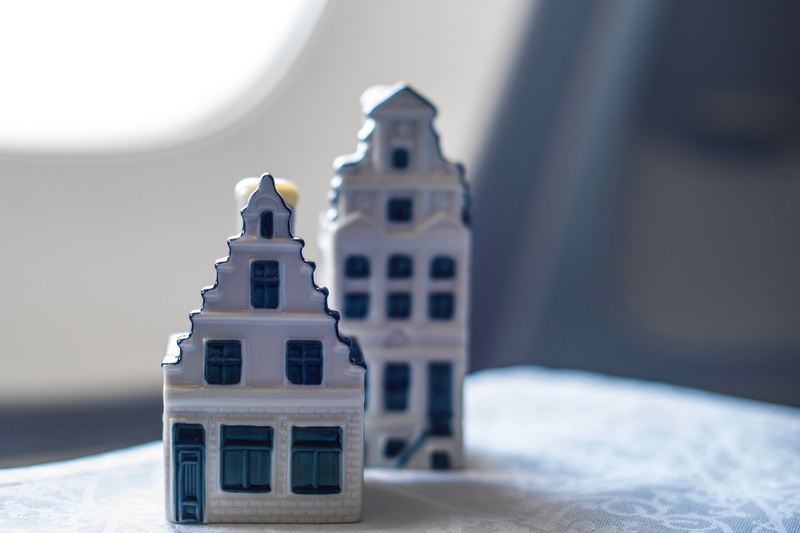 I booked my KLM business class flight using FlyingBlue points, transferred to the program from American Express Membership Rewards. Because I booked during one of FlyingBlue’s sale periods, I paid just 46,875 miles plus about 200 euros in taxes and fees (which, looking back, is kind of high and might have been ill-advised). FlyingBlue is also a partner of Chase Ultimate Rewards, and transfers from both programs are instant, which makes it a great option for booking travel if you’re ready to take the plunge right this instant. Note that you’ll need to transfer points in multiples of 1,000 whichever program you use, which means you will have some residual points leftover after you book your flight. I’ve never flown KLM Business Class but I very much prefer the airline when travelling to America! I have flown First Class in British Airways though, and it was years ago, but sublime! I’ve never tried BA in first, sounds incredible!